When he arrived in England, Reizenstein was less finished and less experienced a composer than older émigré colleagues like Hans Gál, Karl Rankl, Berthold Goldschmidt and Egon Wellesz. But his solid training, a loyalty to tonality and the musical structures of the nineteenth-century and, particularly, a belief that he was part of its ongoing tradition, provided him with confidence and maturity. In England his composition studies continued with Vaughan Williams at the Royal College of Music, while the illustrious Solomon Cutner refined his piano technique, especially with regard to touch and color. His first published piece, the Suite for piano, Op. 6, was issued in 1936 by Alfred Lengnick, but it was the virtuosic and flamboyant Prologue, Variations and Finale, Op. 12, composed for the violinist Max Rostal, and inspired by an extended tour to South America (undertaken with another legendary violinist, Roman Totenberg) which brought him to prominence. The piano part was later expanded to create an orchestral accompaniment. Under Vaughan Williams's tutelage, and with his generous support and encouragement (during and after his internment), Reizenstein's musical language was freed and broadened. English music began to inform his compositions. Comparing his 1934 Wind Quintetwhich is assured, idiomatic and beautifully balanced, but rather sober and unemotionalwith the concise Oboe Sonata, Op. 11, composed just three years later, one is struck by the changed sensibility: an incipient pastoral quality, and an Englishness that would become more pronounced over the years that followed. Reizenstein's status as a British resident was interrupted (and compromised) by his tour to South America in 1937/38, and so, despite a seven-year residency in London, Reizenstein joined the thousands of German and Austrian Jews interned in requisitioned hotels on the Isle of Man. While he was incarcerated, he organized and performed in concerts for his fellow internees, partnering with Sigmund Nissel, who would later play second violin in the Amadeus Quartet. On his release, Reizenstein's army application was turned down on account of his poor eyesight, and he eventually found work as a railway clerk. Composing whenever he had a free moment, by the end of the war he had produced the substantial Piano Sonata, Op. 19, and the Violin Sonata, Op. 20, composed for Maria Lidka, a stalwart supporter of new music. This evocative and idiomatic work, with its bold gestures and infectious, Iberian middle movement, together with the Cello Sonata, Op. 22, completed in 1947, both deserve a place on recital programs. The Piano Quintet, Op. 23, one of the composer's favorite works, was finished in 1948. Lionel Salter's 1975 Gramophone review of its only commercial recording (the Melos Ensemble with the pianist Lamar Crowson on l'Oiseau Lyre) maintains that it stands alongside Shostakovich's as the most noteworthy of this century's piano quintetsa rather rash underestimation of the contributions by Fauré, Elgar, Martinů, Bartók and several others, but praise indeed nevertheless. The critic and musicologist Mosco Carner wrote of the work: Here style and idea, matter and manner are fused into a complete organic whole, not to mention the brilliant exploitation of the medium. But despite these plaudits and despite the obvious substance and the musical rewards the Quintet offers both player and audience, it is fair to say the piece has only very occasionally slipped out of obscurity. Its neglect, and that of the cello and violin sonatas, was part of the discrimination that unapologetic traditionalists like Reizenstein suffered--the severance that accompanied an uncompromising dismissal of serial procedure and the avant-garde. His works were certainly marginalized by the BBC during the tenure of William Glock, and by a post-war musical establishment that tended to be both inward-looking and randomly anti-Semitic. Reizenstein's vocal works include the opera Men against the Sea (1949), Voices of Night, Op. 27 (1951), for soprano, baritone, chorus and orchestra, and the radio opera Anna Kraus, Op. 30 (1952), whose main protagonist is a German refugee, as of course was Reizenstein himself. In 1958 the Three Choirs Festival premiered his highly successful oratorio Genesis, Op. 35. The text was assembled by the actor, poet and dramatist Christopher Hassall, a close friend of Reizenstein's, who also worked with William Walton, Malcolm Arnold, Arthur Bliss, and perhaps most famously, Ivor Novello. The spirit of Vaughan Willams, who died the same year, is evident in both Genesis and the cantata Voices of the Night (a series of poems that explores the progression of night from dusk to dawn), and there are reminders of his Five Tudor Portraits, the Fantasia on a Theme by Thomas Tallis and the Five Mystical Songs. Reizenstein also left a significant corpus of music for winds. In addition to the Oboe Sonata, there is a set of variations for Clarinet Quintet, a Trio for flute, clarinet and bassoon, an unfinished Clarinet Sonata, a Flute Quartet and a substantial Serenade for winds that was premiered at the 1951 Cheltenham Festival by Harry Blech (founder and conductor of the London Mozart Players) and the London Winds, who had commissioned the piece. A consummate pianist as well as a versatile and practical composer, Reizenstein performed regularly with artists of the caliber of violinist Max Rostal and cellist Leslie Parnas, and his work on the concert platform and in the broadcast studio was a major part of his musical career. His compositions for the piano are not numerous, but they include a set of Twelve Preludes and Fugues, Op. 32, dedicated to Hindemith and influenced by his Ludus Tonalis, a piece Reizenstein himself performed. The work is a rigorous exploration of polytonality (where two or more keys are simultaneously suggested) and contrapuntal techniques. There are also two Piano Sonatas, Opp. 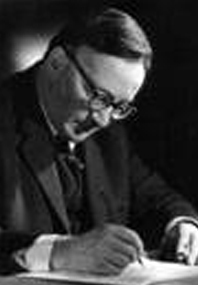 19 and 40, the first of which is dedicated to William Walton, the Zodiac Suite, Op. 41, and a number of shorter pieces, including a Fantasy, the Four Silhouettes and an Impromptu, Intermezzo, Scherzo and Legend. Rather than seize on new compositional systems or a revolutionary set of aesthetic principles, Reizenstein was content to engage with conventional rhythmic ideas, traditional harmonic processes and classical forms. These he nevertheless developed into a highly sophisticated and very individual musical vocabulary. Apart from the music of his teachers, Hindemith and Vaughan Williams, he had a great affection for Walton, Shostakovich and Bartók, although his own works owe much to the German contrapuntal tradition of Bach, Bruckner and Reger. Reizenstein's technical mastery, complemented by a brilliant talent for pastiche and a highly developed sense of the absurd, made him a perfect partner for the musical satirist Gerard Hoffnung (Hoffnung, another refugee to London, had left Berlin as a schoolboy in 1939). Reizenstein's Concerto Popolare  A Piano Concerto To End All Piano Concertos  is a concoction in which the piano soloist (Yvonne Arnaud at the premiere) performs on the assumption that she has been hired to play the Grieg Concerto. However the conductor and orchestra are intractably committed to the Tchaikovsky. The ensuing pandemonium, with quotes from unrelated pieces like Rhapsody in Blue and Roll Out The Barrel, is as brilliantly witty today as it was half-a-century ago. Reizenstein provided a similarly anarchic spectacle with Let's Fake an Opera, a Britten spoof to a libretto by the Mozart scholar William Mann, that features myriad characters drawn from forty different operas (the compilation recording of all three Hoffnung festivals is fortunately still available). On a smaller scale, Reizenstein's Variations on the Lambeth Walk, based on the wildly popular song from Noel Gay's 1937 musical, Me and My Girl, assigns each variation to a different composer: Chopin, Verdi, Beethoven, Mozart, Schubert, Wagner and Liszt are all represented. While this is a pièce d'occasion, rather than a work for a serious piano recital, its sly, perfectly caught accents certainly qualify it as an excellent encore or even an effective educational piece. During the 1950s, Reizenstein's foray into film was, musically at any rate, equally as successful, and his atmospheric score to The Mummy, a Hammer production starring Christopher Lee and Peter Cushing, is both inventive and fittingly chilling. Other film scores include The House that Jack Built (1953), The Sea (1953), Island of Steel (1955), Jessy (1959), The White Trap (1959) and Circus of Horrors (1960). But apart from his film scores, a handful of orchestral works and his four concertos (two for piano, Opp. 16 and 37, and one each for violin, Op. 31, and cello, Op. 8) about three quarters of his opus numbers are chamber works. Although Reizenstein accepted a piano professorship at the Royal Academy in 1958, and at the Royal Manchester College in 1964, with the exception of evening classes he gave at a modest music center in London's suburban Hendon, he never taught composition at an English institution. Even if one acknowledges the primacy of the modernists, there is still something rather disturbing about this  knowing that both Hindemith and Vaughan Williams had held Reizenstein in the highest regard, and that in 1966 Boston University considered him significant enough to invite him for a six-month stay as a visiting professor of composition. In Boston two concerts were dedicated to his music, and it was here that Reizenstein completed his Concert Fantasy for Viola and Piano, Op. 42, which was followed shortly thereafter by the Sonata for Solo Viola, Op. 45. Both were dedicated to Elizabeth Holbrook. Ironically Reizenstein's last performance, in September 1968, was a radio broadcast from Nuremberg, the town of his birth. The program included his Second Piano Sonata and the Zodiac Suite. He died the following month, just 57, survived by his wife and son. His last completed work, the Concerto for String Orchestra Op. 43, was premiered a year later.